Alexander Green is the Chief Investment Strategist at The Oxford Club. 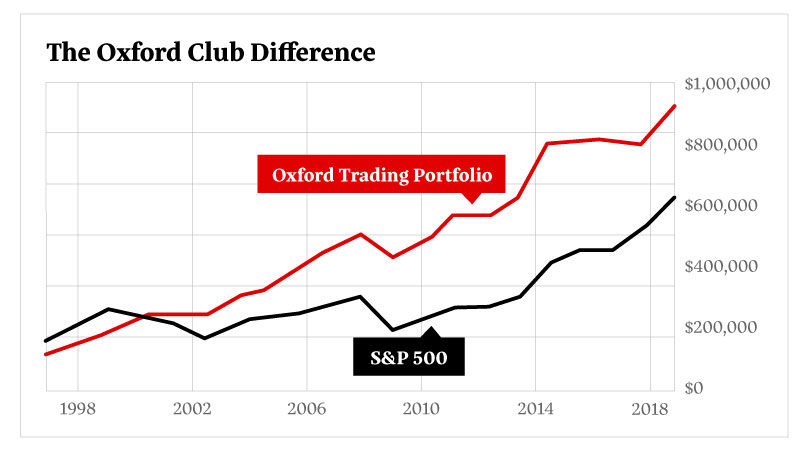 And The Oxford Club is one of the oldest financial clubs in the nation... with more than 140,000 Members from all walks of life. Members include accountants, doctors, Ph.D. economists, teachers, scientists, engineers and entrepreneurs. Alexander Green’s mission is to help every Member grow and protect their wealth. Normally, he does this through a diversified mix of investment recommendations that help Members earn exceptional returns on their money. However... he recently revealed a dirty little secret of the investment world. The truth is... sometimes diversification is not a good idea. If you look at the world’s 20 richest people... every one of them made a fortune not by diversifying into hundreds of stocks... but rather by concentrating their money in the one stock they understood best. To learn more about Alexander Green’s Single-Stock Retirement Plan, click here.